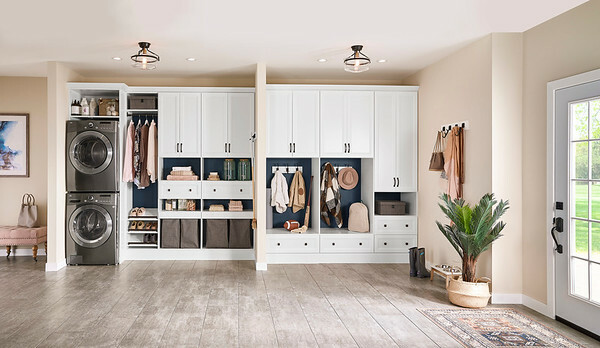 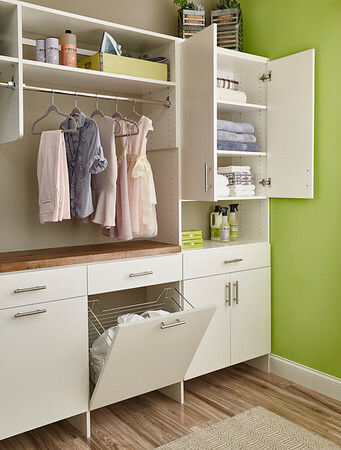 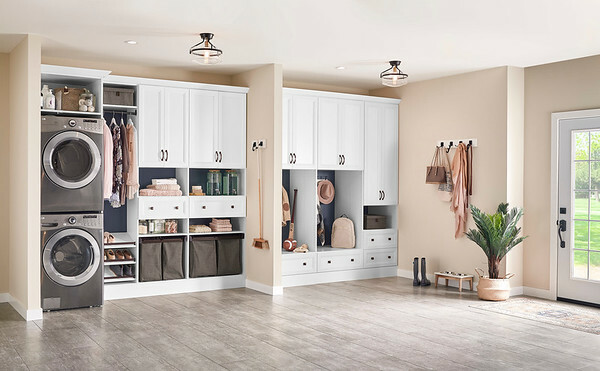 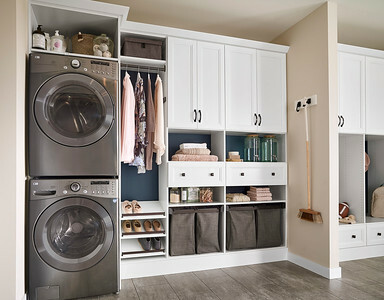 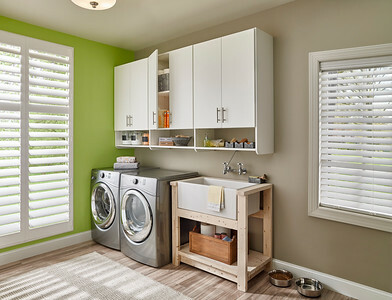 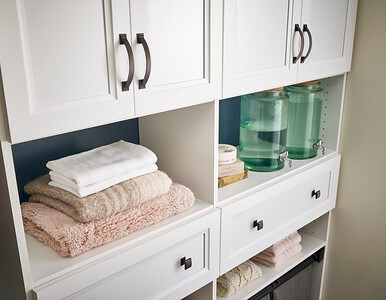 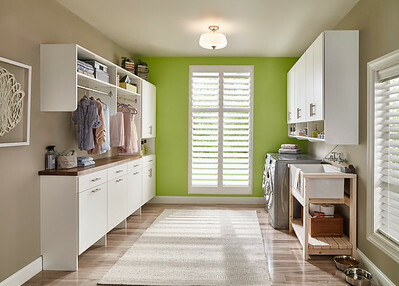 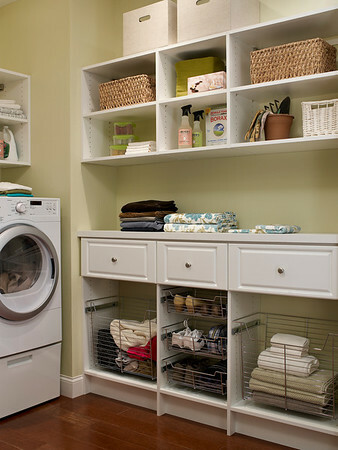 Laundry room featuring ClosetMaid wire shelving with TotalSlide Pro. 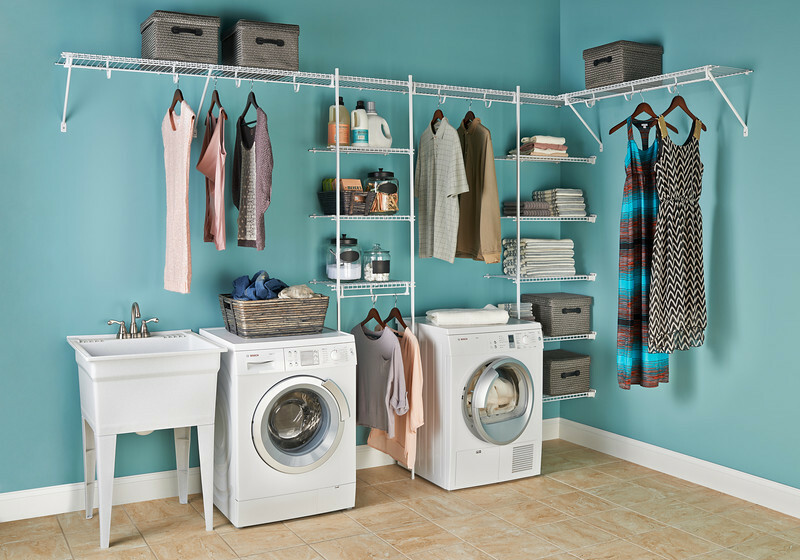 TotalSlide Pro easily attaches to standard wire shelves and provides continuous slide for hangers. 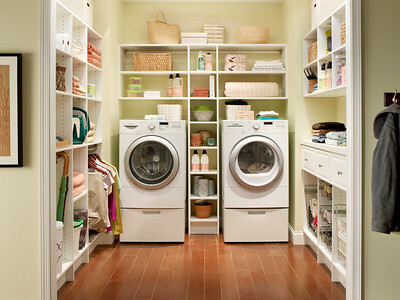 ClosetMaid wire shelving with TotalSlide Pro. 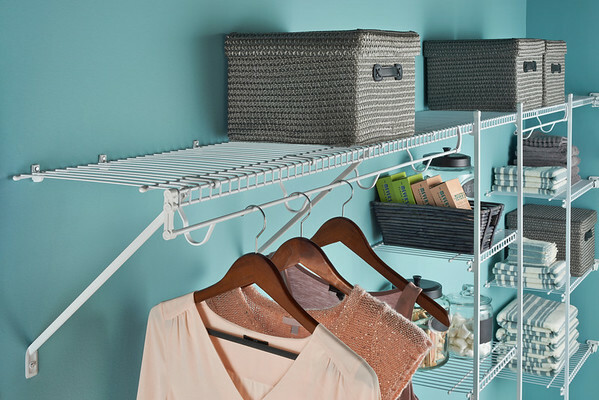 TotalSlide Pro easily attaches to standard wire shelves and provides continuous slide for hangers.